A new analysis of serious bleeds among patients who use the blood thinner warfarin to treat atrial fibrillation (AFib) found that consideration of anticoagulation quality would improve the accuracy of 3 bleeding risk scores. 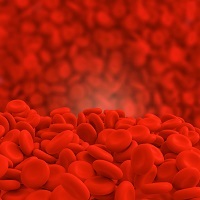 Investigators used pooled population information about warfarin users from the Stroke Prevention using an Oral Thrombin Inhibitor in patients with atrial Fibrillation (SPORTIF) III and V studies to measure the performance of 4 bleeding risk scores — HAS-BLED, ORBIT, ATRIA and HEMORR2HAGES — and see whether the latter 3 would work better if they considered patient time in therapeutic range (as HAS-BLED already does). When the investigators tested the efficacy of existing risk scores, HAS-BLED fared the best by 1 important measure. Just 21.3% of the 127 adjudicated major bleeds among warfarin users in the 2 trials occurred among patients categorized as “low risk” by that scale. More than half of those bleeds occurred in patients that the other scales categorized as low risk. HAS-BLED and ORBIT, moreover, were the only 2 risk scores found by Cox regression analysis to have “high risk” scores significantly associated with an elevated risk of actual bleeds (HAS-BLED hazard ratio [HR] 1.62; 95% confidence interval [CI], 1.06 to 2.48. ORBIT HR, 1.83; 95% CI, 1.08 to 3.09). When investigators amended ORBIT, ATRIA and HEMORR2HAGES to consider which patients spent less than 65% of the time within a therapeutic anticoagulation range, however, all 3 produced significantly improved performance. Consideration of time in the therapeutic range (TTR) moved many of the patients who actually experienced bleeds out of the “low risk” zone The modified scores for all 3 risk measurements were significantly associated (p < 0.001) with adjudicated major bleeding events.